Taproot Edmonton is a source of curiosity-driven stories about our city, cultivated by the community. We are building a new way to do local journalism and a new way to fund it, because the business model that used to support local journalism is broken. We want to replace what is being lost with something that is sustainable and responsive to the community we serve. You can help by becoming a member of Taproot or joining our mailing list. We don’t sell eyeballs, and we don’t put up paywalls. Our approach is to enlist our members to tell us what they’re curious about, commission writers to answer their questions, and pay those writers from the membership fees we collect. Then we publish the result for all to see. We embrace technology to help make our storytelling more proactive, efficient, and modern. We think a membership-supported model is better for the kind of journalism we produce than an advertising-supported model, which tends to create incentives for page views at all costs. Taproot Edmonton members make it possible to put more curiosity-driven local stories into the world. 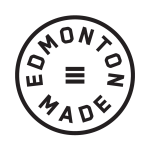 Taproot is proudly made in Edmonton, Alberta, Canada.